thanks to all who came out to the denver devdays big event this week. this was the first time i've traveled in a while since various family ailments and situations. i had a good few days in denver with some good peeps. thanks to beth massi for joining our developer crowd in denver. she was awesome and had a crowd wherever she was. so when you have an hour for a developer session, which do you pick. 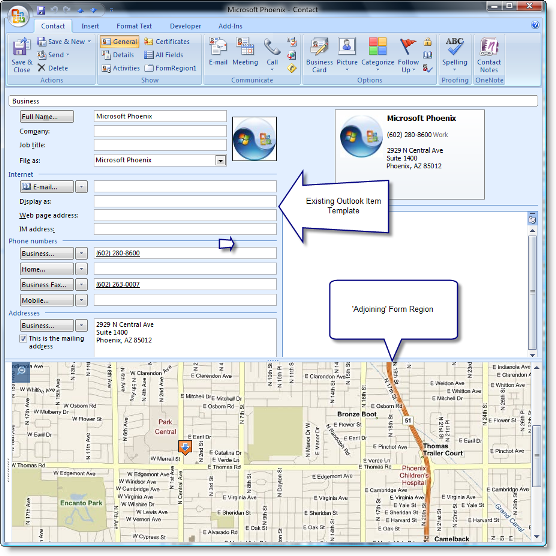 i chose to pick the office client applications and demonstrate how visual studio 2008 enables writing office client applications easier than ever. i chose this because doing office client development in the past (even with 2005) wasn't really a no-brainer. there were still a lot of configurations as well as still some things you couldn't do. with office 2007 and vs2008, it is a no-brainer now. vs2008 (professional+) now comes with the office tools built-in...no more needing to download a separate client (or pay for a separate tool). in my session i attempted to cover four key areas (only three of which we got to). i wanted to demonstrate the UI customization features, outlook form regions, word content controls and task/action pane development. the slides for my presentation are at the end of this post (PPT 2007 and PDF) and as promised there is an appendix in there with some information we didn't get to. 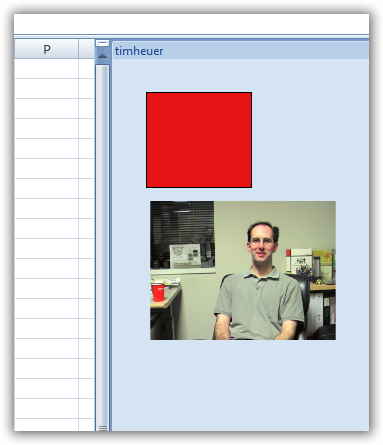 the two most important links in the slides are the ones to the Office MsoId sheet and the OfficeImageId worksheet (which you need the developer options to be enabled in Excel to see the gallery options). get these files. download. save. you'll need them. and when you can't find them you'll need a mt. dew (or scotch or whatever your calming choice is). 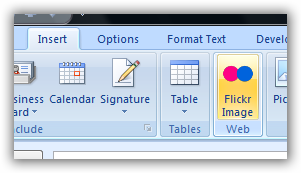 don't ask me why the MsoId's are not enabled in the designers of the office components...i've asked and don't know. the first thing we covered was the office ui customization. 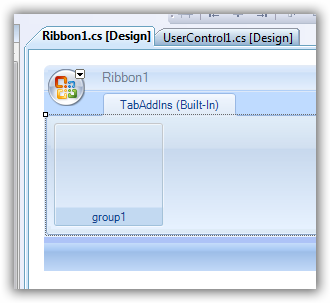 vs2008 provides a new visual designer for the ribbon. you can still do the RibbonXML if you're insane you want to. as we demonstrated, almost everything can be accomplished in the ribbon designer. intercepting commands (such as FileSave) is something you'd need to much with the RibbonXML for and the designer provides an 'export to ribbon xml' feature so you can do most of it visually. vs2008 provides a great design-time experience as it provides a ribbon as the design-time experience. most everything after that is choosing which tab (custom or built-in using one of the idMso values from the worksheet), and adding controls. when writing outlook form regions (and as we saw in all other areas as well), the development isn't 'office-ish' at all. once you've decided where/how the form region is going to interact, now you are just writing managed code. you can integrate with wcf services, use linq, whatever...it is the same .net framework you know and love. the office api's are now exposed to you to interact with as well. 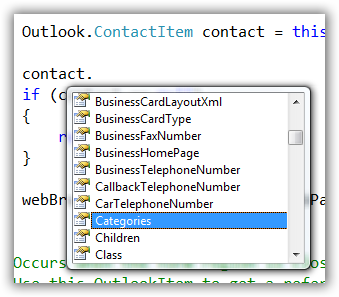 as an example, anything in the contact item is easily and readily accessible to the developer to use and/or alter. the same goes for word, excel, etc. but one thing to keep in mind is other properties. for example, if i added the line above to my initial code and had the width property, i'd get an exception. i'm trying to set a width when a bottom-docked item fills the user's width -- no can do. of course i should probably implement better checking and simply handle that scenario. i didn't get to the word content controls in my session, apologies. we also didn't talk about sharepoint development, etc. i think you could spend a whole time on that. you tell me, what concerns you about sharepoint development? create a stub mail profile (control panel -- Mail) so when writing outlook applications you aren't constantly trying to connect with a real mail system. i hope that those who attended learned at least one thing new. some of my demos weren't cooperating despite me staying up until 3am doing them three times. such is life. thanks again to those who came. be sure to check out beth's post as she used VB XML literals to leverage Office Open XML to write a mail merge in XML code which generate word documents...it was pretty slick.